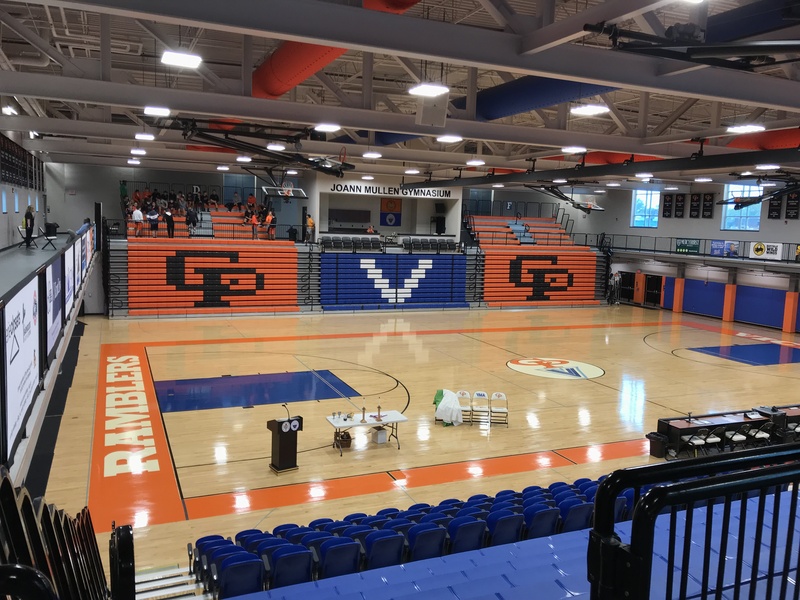 On Wednesday, Sept. 27, the Cathedral Prep freshman class got to experience their first retreat at the Hagerty Family Events Center. The weather consisted of rain and dark skies for pretty much the whole day. Soon after the freshmen class arrived at the HFEC the retreat began starting with Mass. Once Mass concluded everyone broke into the groups they were assigned to. Each group had 5 different stations to attend for the morning portion of the retreat. All the stations were led by members of Prep’s senior class who volunteered to help. The stations all had different things they needed to discuss with the freshmen that could teach them about what comes with being a “Man of Prep.” Some things that were discussed at the stations were how to become closer to God and the brotherhood at Prep. The senior leaders at each station talked to each freshman group about what they have experienced at Prep and how they can make the most your time here. One of the stations in the locker room really let everyone get to know each other. Everyone there had to announce who they are and what they were interested in. It was a great way to break the ice and make everyone feel more comfortable with each other. After the groups rotated to all five stations, a lunch consisting of chicken tenders, french fries, and a cookies were provided to all the faculty and students. The afternoon part of the retreat involved a lot more physical activity. The most popular events in the afternoon were Rambler Ball and tug of war. These events really helped the Class of 2022 come together and bond by playing these activities as a team. Sidney Abogunde, another Cathedral Prep freshmen stated, “It was fun to play games and loosen up.” Sidney also made it clear that it was fun for him to learn how to use the rosary. Over time this class will grow closer and stronger together and become more like brothers every day.